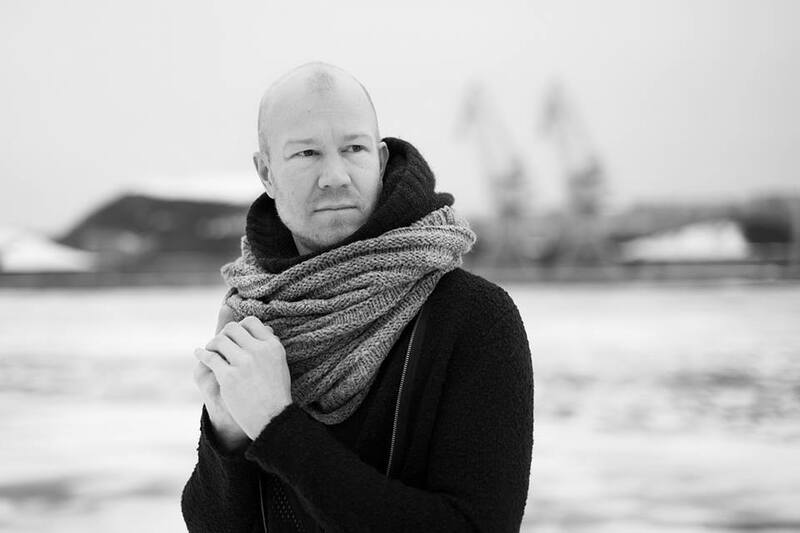 Morphosis is the new upcoming album of great Finnish cello composer Max Lilja. The album will be released April 10th by Fluttery Records and has already received nice reviews, from me included. Well-known as one of the former founder of Apocalyptica and touring member of Tarja Turunen the focus should be held on his new solo project. How is the release of your new album Morphosis going? Keeping busy. Especially with getting the live set together. I now have a little bit different approach as the beats will be the only thing coming from the backing tracks so it’s a lot of arranging and programming in getting all the songs to a playable form and getting all the sounds and loop tracks organized and the controls programmed. Classical music had been in your life since your were very young. You started with the violin and changed to cello when you were just 7. Did you remember what was it that made you change the instrument? Unfortunately I don’t have a clear memory about that change. I guess it was something in the deeper voice of the cello that attracted me. Did you have musicians in your family or did you develop the interest in music yourself? We don’t have any musicians in the close family but I was always supported in my then hobby and now profession. As a kid I was also doing a lot of sports and due to the limited hours at some point needed to decide to focus in music. I must say it’s been an interesting journey. Beside composing, have you ever taught music? I haven’t done a lot of teaching though I could see that coming. I was always focused in the other sides of being a musician. I’ve been coaching cello orchestras a couple of times. Last fall I was in the Rutesheim cello festival in Germany coaching a 120 piece cello orchestra. We played some Apo songs and learned about the different instrumental roles in cello rock. You have released one solo album “Plays Electronica by the cello” before “Morphosis”. How did your solo career start? Was it a challenge? I got a vision about making some solo stuff already after departing from Apocalyptica in the early 2000’s. I wanted to do the whole thing only on cello and it took many years to find the right tools and to get the concept together. It is very challenging to create something that’s never been done before. Morphosis is very cinematic and environmental, did you have a theme or story behind it? The music I write is often quite cinematic. When I wrote Morphosis the music came first and then in the process it started to create stories and associations to my life and to life in general. The beauty of instrumental music is that as there is no text the listener is more free for imagination. I find this very appealing as a listener in the other side of the world with totally different cultural and sociological background can experience the music very differently. This takes us to the fact that it’s much more important to focus in creating the art instead of analyzing it as you have no idea how the ”consumer” will experience it. I found the album actually quite post-apocalyptic, what can you comment about this atmosphere? I got the first vision for Morphosis in the last stages of finishing Plays Electronica By One Cello. The vision was initially more trip hop -like and then in the process morphed to the mix of styles we now hear. It is darker than the first album. The songs have different forms and the sound is bigger. Last year I was faced with some unwanted issues which made the year very challenging and that naturally also influenced the album. I got the feeling that you experimented a lot with the sounds! Is it so, or did you have a well-written logic behind the production? I do experience with sounds all the time in order to find the right ones that support the song and my vision about it. The songs can go trough a huge development in the process. I always try to find new ways to express. The entire album is very elaborated and complex, how much did it take to compose? Did you struggle with the music-writings or it flowed forward, maybe both? Actually I wrote all the songs in two weeks in fall 2013 and I wrote it all just jamming on cello. I had quite a strong vision what I was looking for. Though the songs were nowhere close to what we now hear but the basics were born very fluently. During the whole Morphosis -process I was touring quite a lot with Tarja and on tour I did a lot of thinking work for the album and then executed it on the brakes. Do you have a tour planned after the album release? I have some shows here in Finland in April and May and I’m working on more shows for Europe and Latin America for the fall 2015. It’s much easier to make a great live set now that I have songs from two albums to choose from. I hope I could take this all over the world!